amazing floor!! i want to see the painter - great work! awesome dress pics. i'd like one of each! So pretty and very feminine! Love the floor! love that little room Kellie, beautiful floors.. It goes well with grey, and blue and white. And it tells us, you are a little higher up in thought, right now. Those floors are too much. Absolutely amazing! Just wanted to say thanks so much for stopping by my blog, so chuffed :) Also wanted to say, love the idea of seating in a bathroom, I think bathrooms should be less utilitarian! That is a beautiful room. I love the dusty lilac. It looks very soft and romantic and what fun floors. 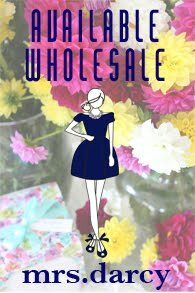 I am excited for your shop opening! I adore your pillows as I have mentioend so can't wait to buy a few! I keep eyeing a pink toile one with a black and white ruffled edge in one of your photos. That is divine! Have a good week. OH that floor is just lovely! Beautiful!!! 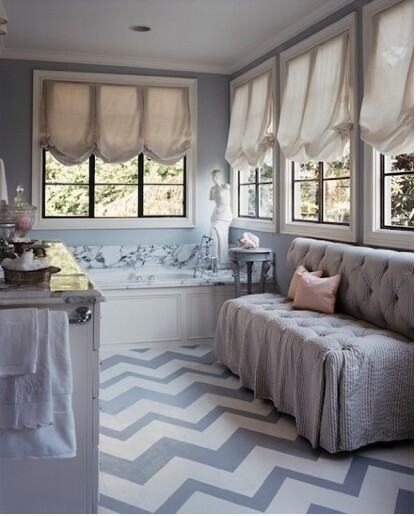 I absolutely love the Chevron floors! Love the chevron floor and the beautiful lilac colour. I think variation in width of the chevron gives it a little something extra. that is my dream bathroom!